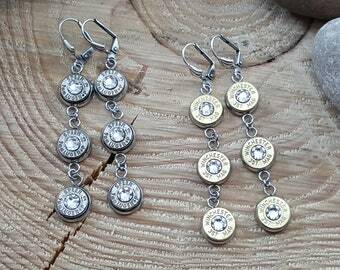 Bullet Jewelry - Bullet Earrings - Best Quality - Stainless Lever Back Bullet Earrings - Amethyst - ALL CRYSTAL COLORS Available! 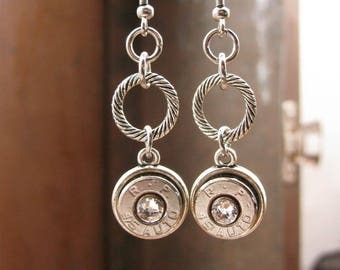 Bullet Jewelry - Bullet Studs - 9mm Silver Bullet Casing Stud Earrings - April Birthstone - DIAMOND Swarovskis - A Girl's Best Friend! 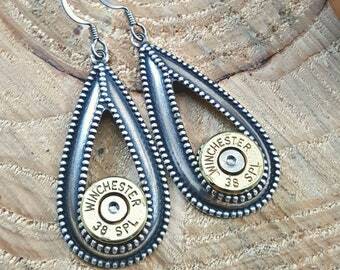 Bullet Jewelry - Horseshoe Style Brass Bullet Earrings - A SureShot Exclusive Design - BEST SELLER! 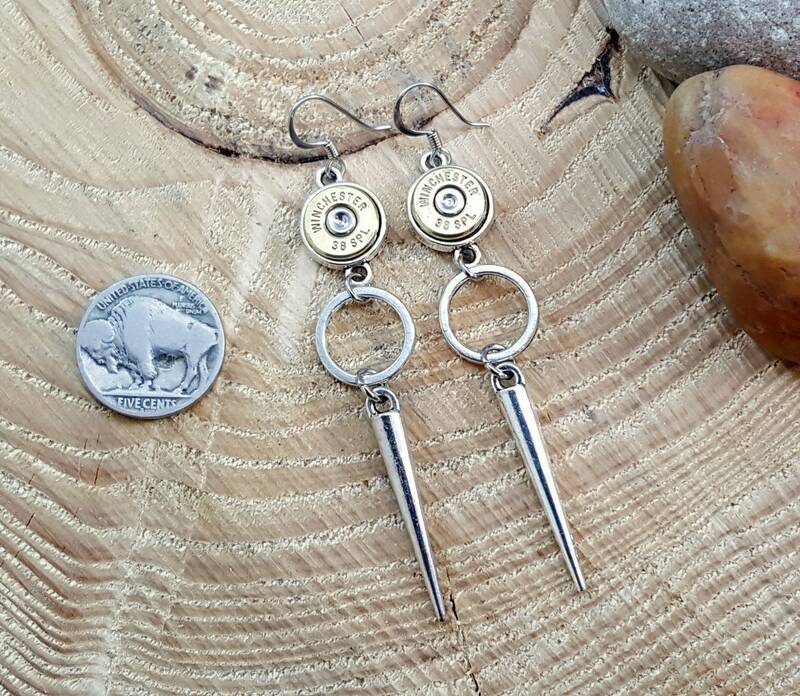 Bullet Earrings - Bullet Jewelry - Bullet and Spike Charm Dangle Earrings - Modern with Edgy Styling - Handcrafted, artisan designed bullet earrings from SureShot Jewelry. 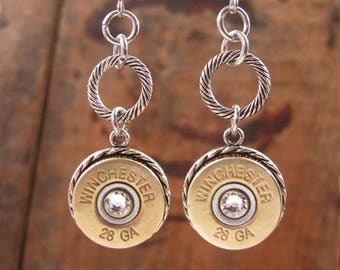 These earrings are just Cool!! Mixed metals with a trendy look! We prepared the bullets using our patented method. Bullet casings are cut to a low profile and mounted in bezels to cover the raw backside of the bullet casings and give them a quality finished look both front and back. We suspended silver rings and spike charms from each bezel to complete the look. Brands and calibers will vary. Calibers used are 9mm, 357, 38s and 40s to keep the proportions in balance. Leave a note at checkout if you prefer a specific caliber of the ones listed here. Additional processing time may apply. These are a trendy choice with spikes being popular in today's jewelry fashions. 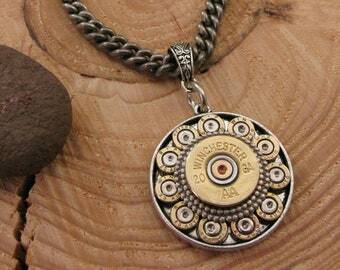 They give an edgy look to the bullets....not that the bullets themselves aren't edgy enough! We see these looking smart on a biker or rocker gal.